Westlake, Texas is a wonderful community and real estate market by Lake Austin. It resides near popular Zilker Park. Westlake TX real estate includes master-planned neighborhoods and upscale homes. These homes are in the 78733 and 78746 zip codes. Westlake homes for sale are highly desirable due to their premier location. Westlake is a town in Denton and Tarrant Counties. This upscale community is a suburb of Forth TX real estate. In 2011, Forbes ranked Westlake the most affluent community in the country. Westlake TX real estate has it all from residential and business to strong tourism. The town is a Gold Level Scenic City and is home to many corporate campuses. These include Solana, CoreLogic, Fidelity Investments North Texas Campus, TD Auto Finance and Deloitte University. Many advantages in quality of life, luxury amenities and close-knit community atmosphere come with home ownership. Available homes make a significant statement in value and exceptional livability, amid a relaxed and family-friendly atmosphere. 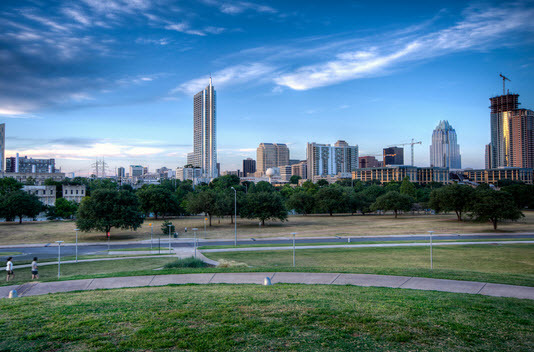 They offer interested buyers a secluded, master-planned environment, a world apart, yet in close proximity to every Austin convenience and attraction. These neighborhoods include Westlake Hill, Rob Roy West, Rob Roy on the Lake, Vaquero and Rolling Hills. This exclusive community is complete with natural beauty and open spaces. Residents can enjoy many community events throughout the year. These family events are great for getting together with neighbors and friends. These include Arbor Day, Decoration Day, Vintage Classic Car Show, Community Tree Lighting, MasterWorks Free Concert Series and Historical Market Dedication Days. Westlake has superb places to shop and dine. There is a variety of shopping off Highway 114 at Solana. The Marriott Solana hotel is a major attraction with its famous Cielo restaurant. There is also a Starbucks Coffee Shop located there as well. Restaurants types include Chicago-style deli, Italian, American and more. No matter your tastes, dining is plentiful. Westlake TX real estate is served by a few different school districts. These include Northwest Independent School District, Keller ISD and Carroll ISD. Westlake is a raise place to settle down roots. Glynwyck Park is a 13.5 acres park with 60 foot oak and pecan tress. This park includes a bridge, walking trails, a creek and a children’s play area. For a family-friendly environment with plenty of area amenties, West Lake TX real estate is an excellent choice. Contact McNabb & Company today for more information on homes for sale in Westlake.